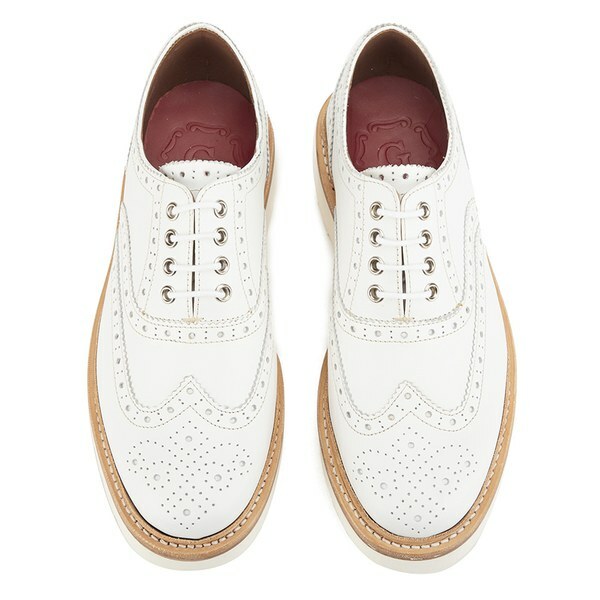 Grenson ‘Emily’ white leather brogues with punched wingtip detail and a slim round toe silhouette. With a Goodyear welt and a chunky white Vibram platform sole, the women's shoes are fastened with a four eyelet laced closure. Finished with a red leather Grenson embossed insole and white stitched detail around the midsole. – A.D.